Gary with Ted Panken, National Museum of Jazz in Harlem, November 29. A magnificent, monumental biography. 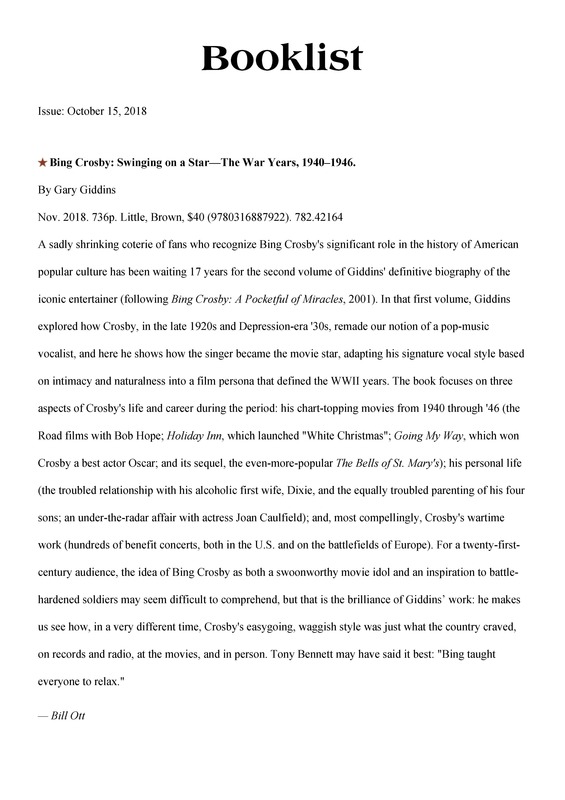 Of course the chapters about Crosby in wartime England and France –Der Bingle – fascinated me most, not least his extraordinary mixture of showbiz courage, universal charm and absolutely hard driven energy. The ritual singing of “White Christmas” at the end of each show, producing that huge significant silence among the GIs, is a haunting image and told me something quite new about America at war. I was also impressed by the swift syncopated narrative, and the sly shifts between lyrical and analytical presentation. So how would I sum it up in a phrase ? – a cultural biography to croon over! I’m a huge fan of Bing Crosby, and this book blazed and boomed over my life like fireworks on the Fourth. Gary Giddins is a masterly biographer, a storyteller with a keen sense of exactly the right details. 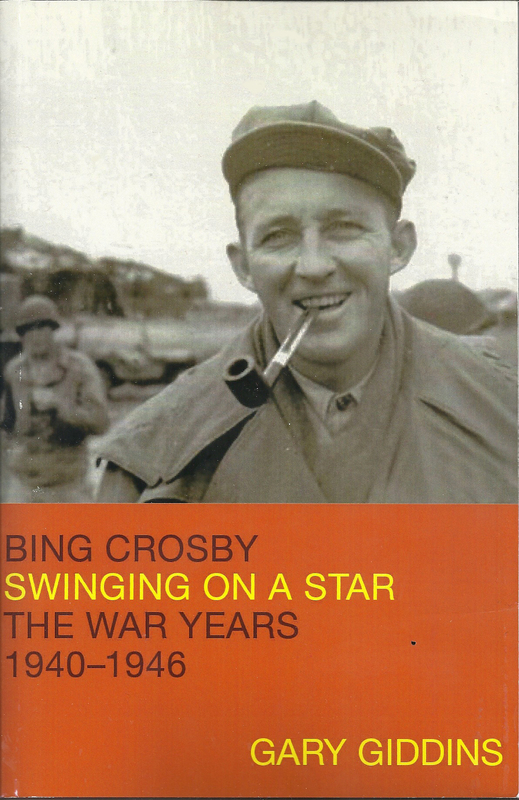 Swinging on a Star reads like a novel, and this volume is pure gold, if not platinum, spanning the key years in the life of this central figure in American culture. 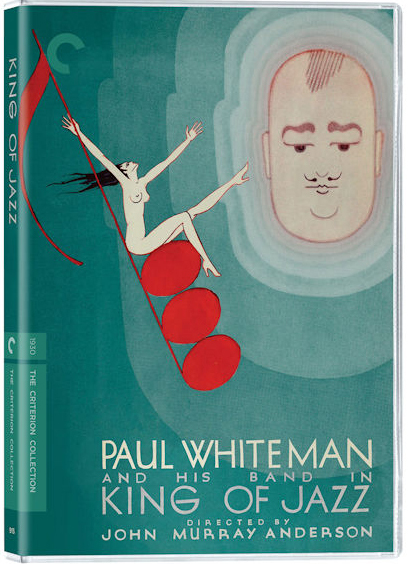 Bing comes alive in these pages, with a glorious cast to accompany him on his many roads to fame and fortune. A dazzling and brilliant biography. 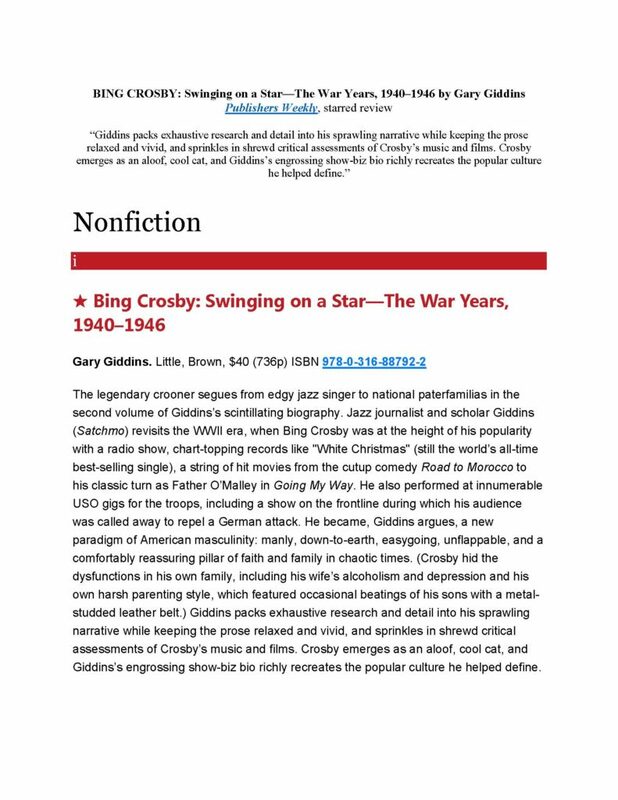 Long-awaited, Swinging on a Star is the scrupulously researched companion to Gary Giddins’s marvelous first volume on the life of Bing Crosby. And like its companion, it brims with music, movies, family drama, religion, love—and, now, war, when the master of jazz performed on a public stage to a country, and most particularly, an armed forces, in need of cheer. 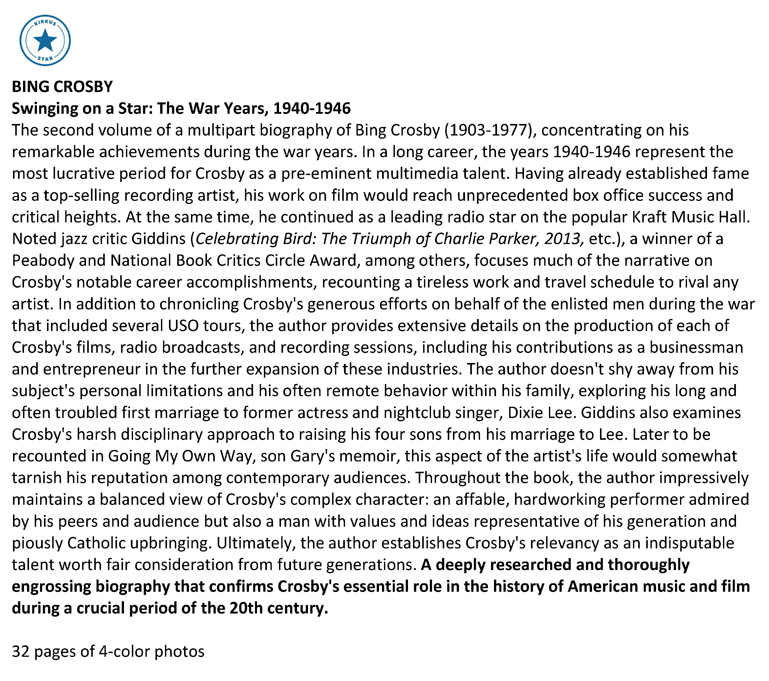 With loving precision, Gary Giddins documents those performances—and that man—so that we can participate, hearing as if for ourselves the compassion in Crosby’s song; and witnessing, too, as if first-hand, just how this stoic, incomparable crooner became an American icon. 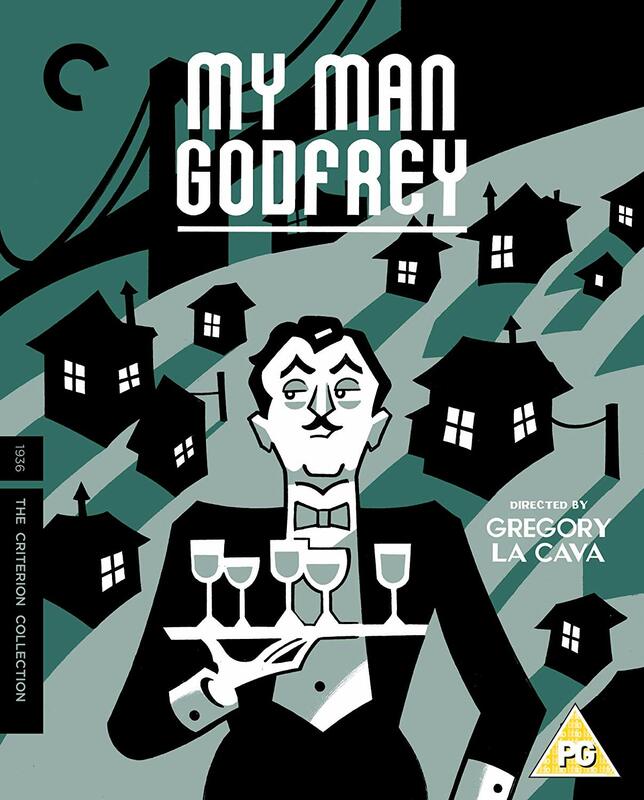 What an astonishing act of narrative and scholarship Gary Giddins has performed. He has drilled deep into a complex, deeply flawed and extraordinarily talented human being and has brought back not only this fascinating figure but the age that shaped him and which he in turn helped to shape. 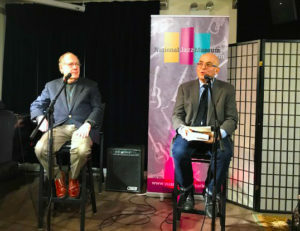 Gary Giddins is the finest jazz critic of his generation and Swinging on A Star adds another splendid story to the literary mansion he is constructing for Bing. 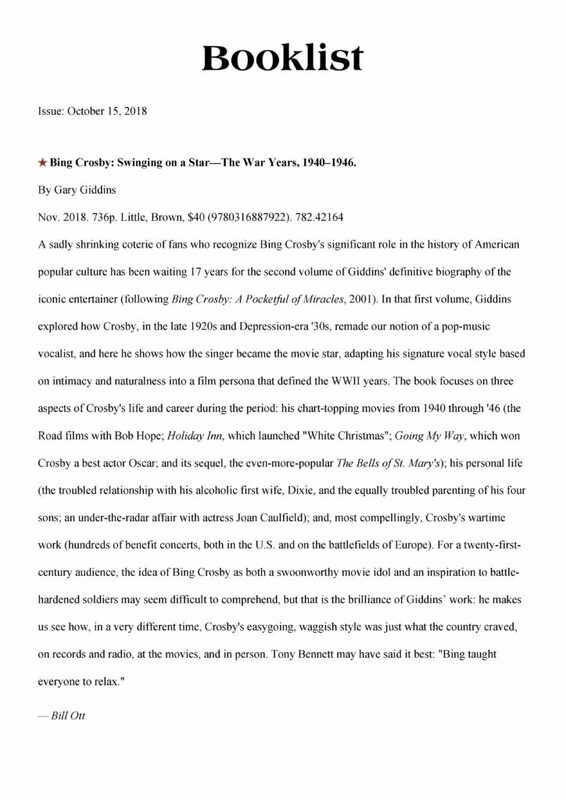 Brilliant and unsurpassable: Gary Giddins’s powers as a music critic, film scholar, and historian are all on display in Swinging on a Star, the much anticipated second volume of his Bing Crosby biography. 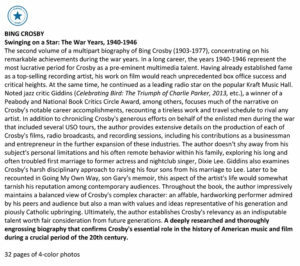 Giddins zeroes in on the war years and richly documents Crosby’s remarkable career as it reached its zenith as singer, actor, and canny business man, not to mention tireless star entertainer to our troops. He raised the morale of all of America and was beloved by millions. Der Bingle was a marvel and so is Giddins. He has captured one of he greatest molders of popular culture who ever lived and I couldn’t put the book down; it is that engrossing. Bravo! ~ Patricia Bosworth, author of The Men in My Life: Love and Art in 1950s Manhattan. COMING NOVEMBER 2018 – Preorder Now! Gary was part of a panel October 1 for the NY Film Festival at the screening of “Fire Music” – he’s also an on-screen contributor throughout the film. 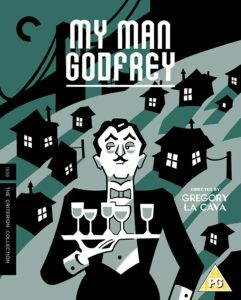 Gary discusses the director of “My Man Godfrey“, Gregory LaCava, in this new blu-ray release of the classic screwball comedy. From one of the greatest writers of the twentieth century, Aldous Huxley, comes his great novella, set in Rome, about a writer’s affair with a mysterious young fan—now back in print for the first time in the U.S. in more than seventy years and also featuring two other acclaimed short works, plus an original introduction from noted critic Gary Giddins. 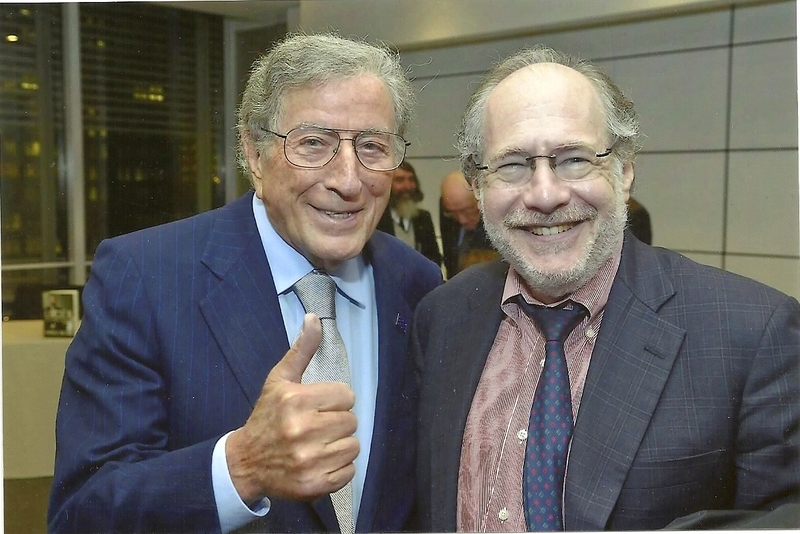 Gary and a friend at a reception October 27, 2015 to celebrate the publication of Harold Holzer’s new book, Lincoln and the Power of the Press. 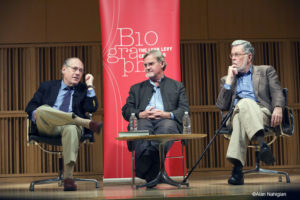 Featuring four panel discussions: on biography and music, with Thomas Brothers, Paul de Barros, Gary Giddins, and Robert Hilburn; on literary theory and biography, with Evelyn Barish, Caryl Emerson, and Elisabeth Sifton; biographers and history, with David Nasaw, Amanda Vaill, Simon Winchester, and Brenda Wineapple; and on American writers and the fragility of fame, with Hans Bak, Susan Cheever, Dorothy Gallagher, and Jay Parini. FREE but please RSVP at 212-817-2008. Award-winning Vintage Magazine–a celebration of design, culture, and the creative possibilities of print (as you’ve never seen them fulfilled before)–is back with its Quatrième issue, a special edition dedicated to architecture and design. 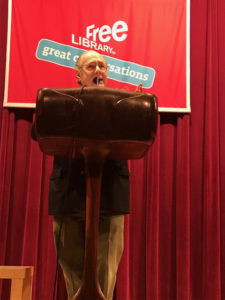 Among the eclectic features filling its pages: Gary Giddins writes on the mysterious obscurity of the works of author W.R. Burnett; Chip Kidd pays exuberant homage to vintage linoleum; and Lisa Birnbach shows us how the home library is really done. To mark the launch of issue 4, join Kidd, Birnbach, and Giddins for an evening of reading and discussion–about the craft that goes into the magazine’s pages, and the place of the print magazine in today’s digitized climate. 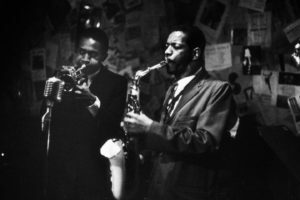 Celebrating Bird: The Triumph of Charlie Parker – newly revised and reissued by University of Minnesota Press, available at booksellers everywhere – September 2013. 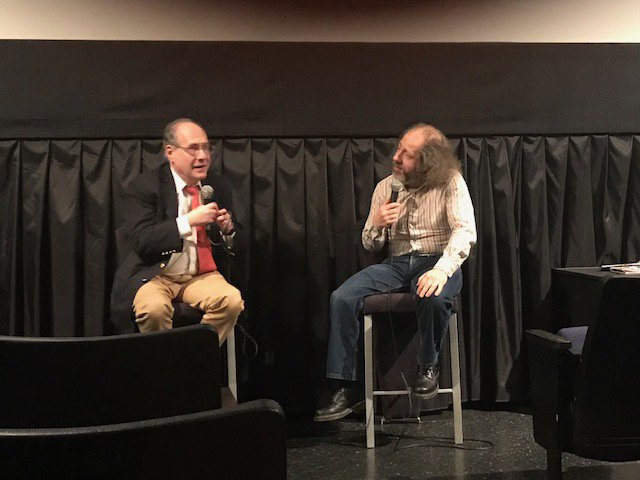 City University of New York Graduate Center President William Kelly announced today the appointment of Gary Giddins as the Acting Director of The Leon Levy Center for Biography. 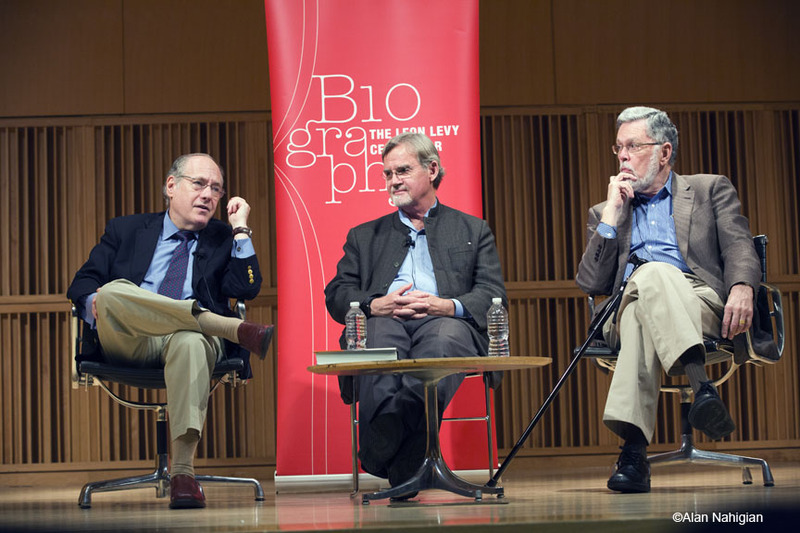 The Center, which was established by a generous gift from The Leon Levy Foundation, is devoted to building connections between independent and university-affiliated biographers across the disciplines. 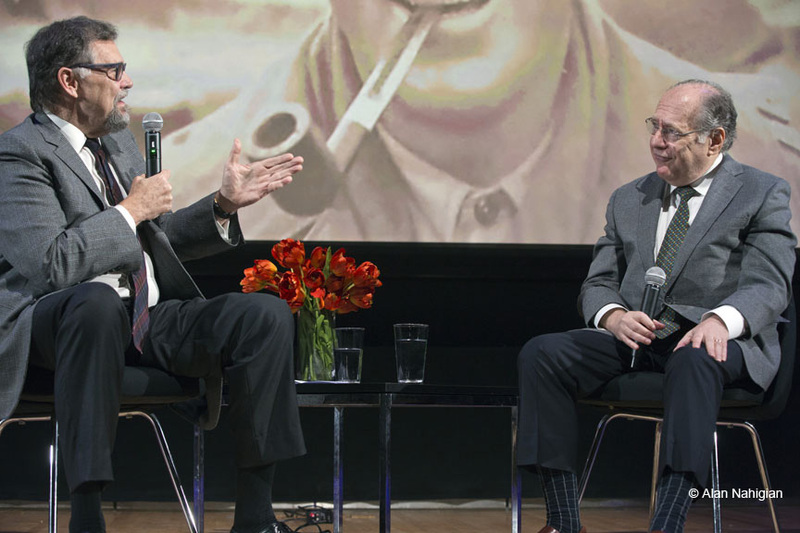 The Center sponsors the Annual Biography Lecture in the fall, the Annual Conference on Biography in the spring, and a variety of public programs throughout the year. In addition, the Center hosts four resident biography fellows and provides two dissertation fellowships to Graduate Center students. Giddins’ work has been widely celebrated. His Visions of Jazz won the National Book Critics Circle Award in criticism. 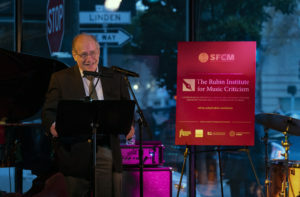 He’s been a Guggenheim Fellow and is the recipient of a Lifetime Achievement Award from the Jazz Journalists Association. He has won a Peabody Award, a Grammy, and an unprecedented six Deems Taylor Awards for Excellence in Music Criticism. His essays have appeared in every major journal of opinion, including The New York Times, The New Yorker, The Atlantic, and Esquire. He is currently Distinguished Lecturer at the Graduate Center, where he teaches courses in American cultural history. The Center’s current director, the writer and scholar Brenda Wineapple, will be stepping down from the position on October 1. Author John Matteson will work with Gary to expand The Leon Levy Center’s engagement with the faculty and students of The City University. 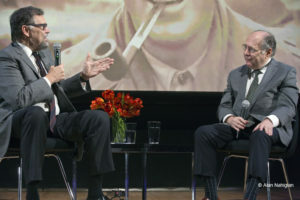 Matteson was awarded the 2008 Pulitzer Prize for Biography for Eden’s Outcast: The Story of Louisa May Alcott and Her Father. His new book, The Lives of Margaret Fuller, will appear in January from Norton. 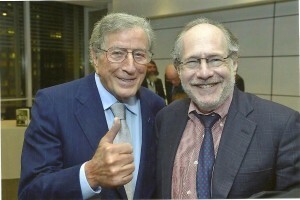 For more information on the Leon Levy Center for Biography, visit http://web.gc.cuny.edu/llcb/.